This morning I had the opportunity to speak with 19-year-old jazz saxophonist Grace Kelly by phone. Grace has won numerous awards and released several albums already, as well as being a very talented vocalist, pianist and composer. Grace will be coming to Seattle for the first time, performing at Tula’s for two nights as part of the Earshot Jazz Festival in November. In this audio blog, Grace discusses how she went from being a clarinet player at 10 years old to having her first album recorded at age 12, being mentored and collaborating with the likes of Lee Konitz, Harry Connick Jr., Cedar Walton, and Wynton Marsalis, and being treated like a rock star in Montreal. She also discusses her work and relationship with Phil Woods and being given his legendary hat, giving advice to young fans, and some surprises she has learned along the way. I’ve featured a variety of great conversations between KPLU’s Nick Morrison and Kirsten Kendrick in the past, and their recent chat about Phil Woods is no exception. Here is their discussion, as part of KPLU’s Artscape series. 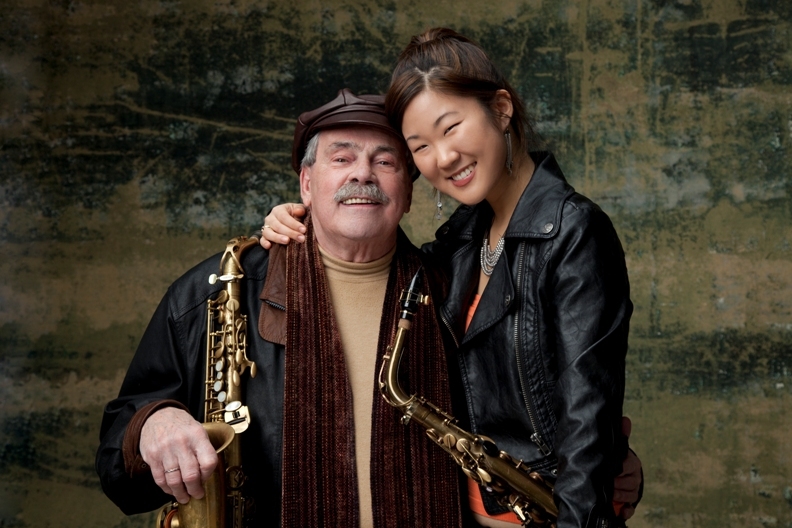 Kirsten: Nick, some people may not know Phil Woods’ name, but chances are they’ve heard him play before. Kirsten: But Phil Woods has been around for a while. He was one of the early Bebop saxophonists. And, at the time, Charlie Parker was still very much on the scene. How did this factor into his career path? Nick: Well, like all alto saxophone players of that time and afterwards, comparisons with Charlie Parker were inevitable because Charlie Parker, if he didn’t write book on Bebop, certainly wrote the glossary for alto saxophone. So, you know, all alto saxophonists who came after Charlie Parker and wanted to play Bebop were influenced by him and had to develop their own voice to kind of move out of Charlie Parker’s shadow. And the first song in the list that we have is an early one by Phil Woods. It was from his second release in 1955 and it’s a version of “Get Happy.” And you’ll hear, certainly, the influence of Charlie Parker but you’re also hearing Phil Woods making his own statement. And I think it’s pretty clear – he’s having a great time. Kirsten: Wow! He just takes off there! And that could pretty much be said for his career. He just took off! Nick: Yeah. And, I think he pulled off a pretty neat trick because, throughout his career right up till now – he’s still playing great – he’s always been this major force in Bebop but it never feels like he’s stuck in the past. It always seems like he’s moving forward. And I think one of the styles of music in which you can best hear that is when he plays a ballad. I think that he is one of the very best ballad players in jazz. There’s nobody who gets a more beautiful tone on the alto and is more expressive in a ballad than Phil Woods. And in 1973, he started a quintet that still goes to this day. It has some revolving members in the front line but it’s basically Phil Woods with bassist Steve Gilmore and drummer Bill Goodwin. And they’ve had a variety of trumpet players and piano players but this piece that we’re going to hear now features trumpeter Tom Harrell and pianist Hal Galper, who played with another great alto saxophone player during those times, Cannonball Adderley. This is from a CD called “Gratitude” and it’s called “Time’s Mirror” and Woods just soars on this one. Kirsten: In addition to his quintet, Phil Woods is also known for his Little Big Band. 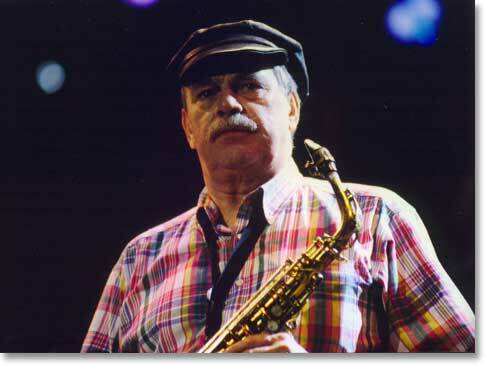 Kirsten: Nick, let’s end this tribute to Phil Woods in his birthday month with what you like about him. Nick: Well, I guess you could just say I love his sound. It seems a little bit weird but in all the time that I have been listening to jazz, there are really only four alto saxophonists that I can tell that I am listening to when I am listening to them. You know what I mean? I can identify their sound without knowing that it’s them: Charlie Parker, Johnny Hodges, Paul Desmond and Phil Woods. Kirsten: Nick, thanks again for coming in and giving us a little bit more music history!